Apartment 528: Mod Fans Unite! Mid-century modern, oh how much I love you. If you've had the honor of reading my blog for any amount of time, you've probably realized that I'm a big fan of the mod look. I love anything from the 50's -70's, including the music. 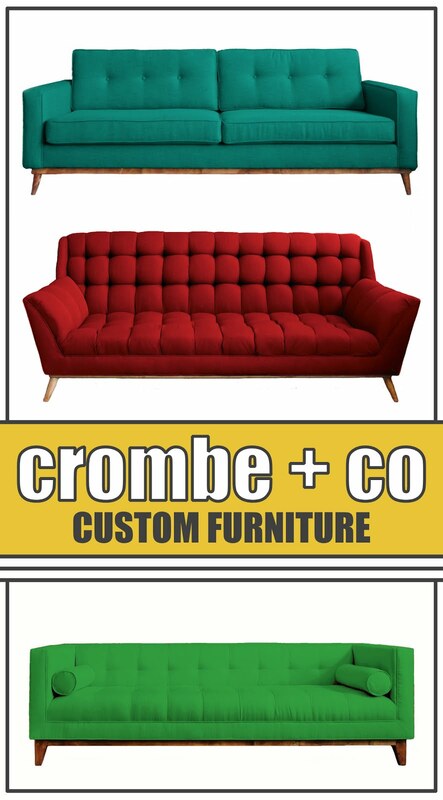 Most of the furniture that adorns my retro living room hails from the great website known as craigslist.com. Using craigslist, I've slowly replaced everything new and Ikea-ish with authentic pieces from the past. Of course, craigslist doesn't have everything, so I tried searching furniture stores which, ended up being a huge disappointment. While upscale furniture showrooms are quick to jump on the mid-century bandwagon selling Barcelona chairs and Eames reproductions for thousands, I like the more authentic mod look. Contrary to fancy magazine spreads and showroom displays, the average family in the 50's/60's didn't have a house full of Wassily chairs set against a stark, gun-metal grey color scheme. I knew there had to be something else out there that offered a balance between the mass-produced furniture stores and the sparse findings on craigslist. This Boston based website is part of the GOMOD network (http://www.gomod.com/) of sites dedicated to all things mod. 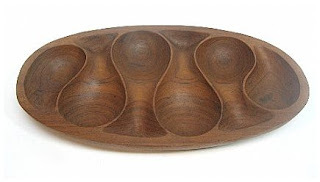 After clicking through Mod Haus, I've fallen in love with almost everything offered on their site, inlcuding the gorgeous teak serving platter which will be great for entertaining. Not only do they have a host of great products, but they also sell them at reasonable prices. No, it's not as cheap as the warehouse superstores of today, but then again, when was the last time you found an authentic, 1960's teak credenza at Ikea?